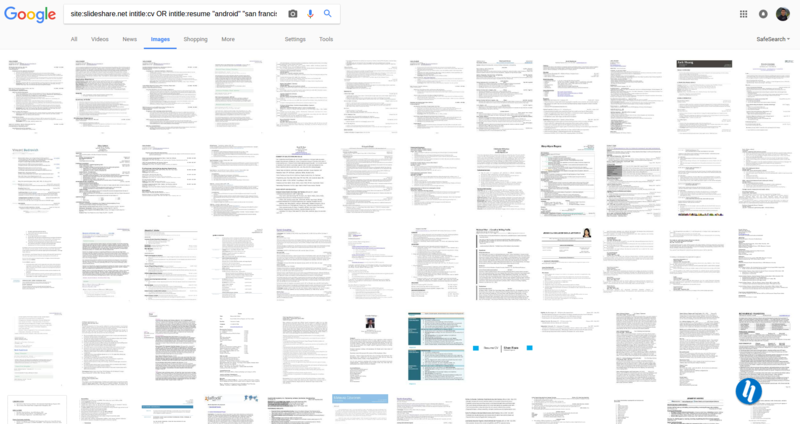 SlideShare is a great online repository not only full of slides and previous presentations, but it’s also full of resumes. For the past decade, SlideShare has been a great resource for many recruiters and sourcers. Since its acquisition from LinkedIn in 2012, SlideShare has been fully integrated with LinkedIn’s product by hosting most PDF resume files and other documents loaded onto its website. Many of us are accustom to using LinkedIn on a daily basis to source candidates, but often we aren’t using SlideShare to find better information, resumes. Here I would like to share some experiences on how to “Source on Slideshare.” I hope to receive some comments and new ideas from our community so that we can crack this new talent sourcing channel together. Let’s assume we received a recruiting task to find Android developers located in San Francisco. We get 1,670 resumes for FREE! No kidding. It’s just completely free. Let’s evaluate the search result by investigating the second item (here’s the link). Wow! We have Jack’s personal email and phone number! The summary is perfectly matched with the recruiting task we defined. If we do recruit on LinkedIn, we may have skipped over Jack. First, Jack’s LinkedIn profile is almost empty. 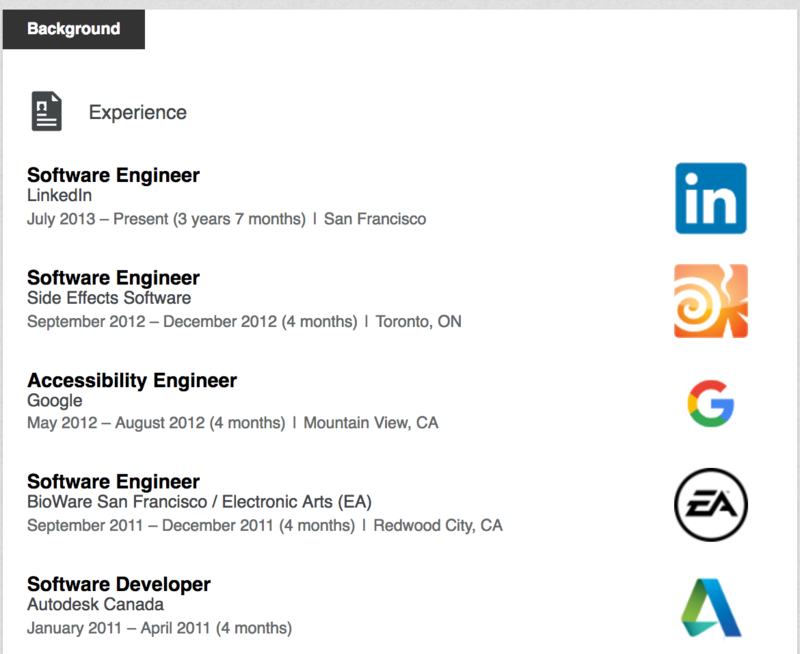 “Software engineer” is too general and as we’re looking for “Android” and I’m his 3rd connection, and he has only 190 connections (not active at all most likely) in total we may not have been able to see him much less able to recruit him on LinkedIn. However, with a complete resume document, it’s becoming an entirely different story to us. Slideshare works! Click “Past week” or “Custom range” to find the latest resumes. However, I recommend “Custom range” to set the range for two months. Personally, I prefer Tip 1. It’s more accurate and yields more resumes. For three reasons, you should try Slideshare for your recruiting. Find what others cannot locate. Stop homogenous search, please. We’ve been fishing the same pool with a small amount of active LinkedIn users for a long time already. Diversify sourcing channels. It works. It brings you free and real resumes. You get phone numbers and email addresses. It’s so simple. Click Google.com and copy & paste as I showed in the examples above. That’s it. We would like to thank Maureen Sharib for her insightful comments and feedback. She helps reshape the idea and review the articles multiple times.